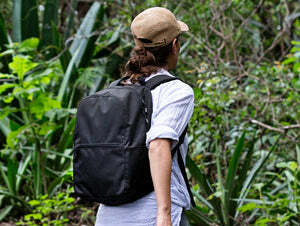 A lightweight travel backpack made from eco-friendly materials. 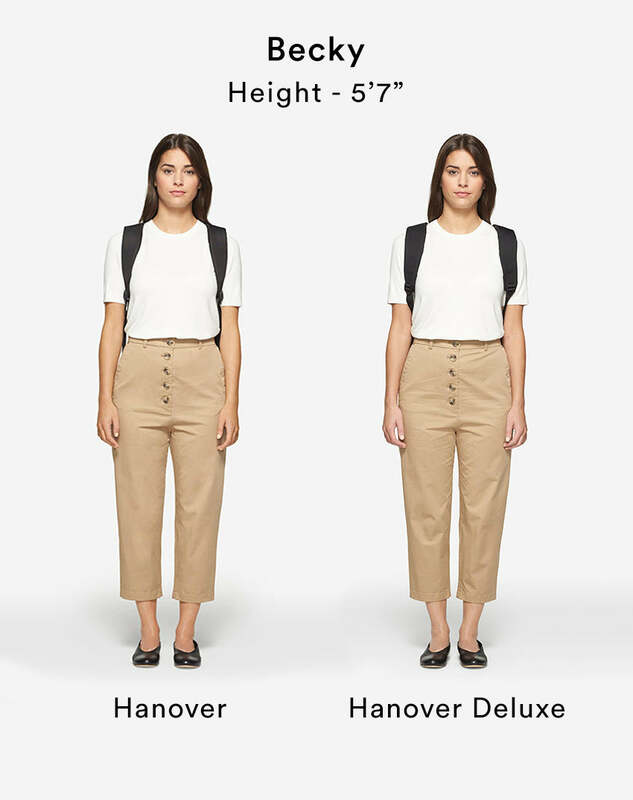 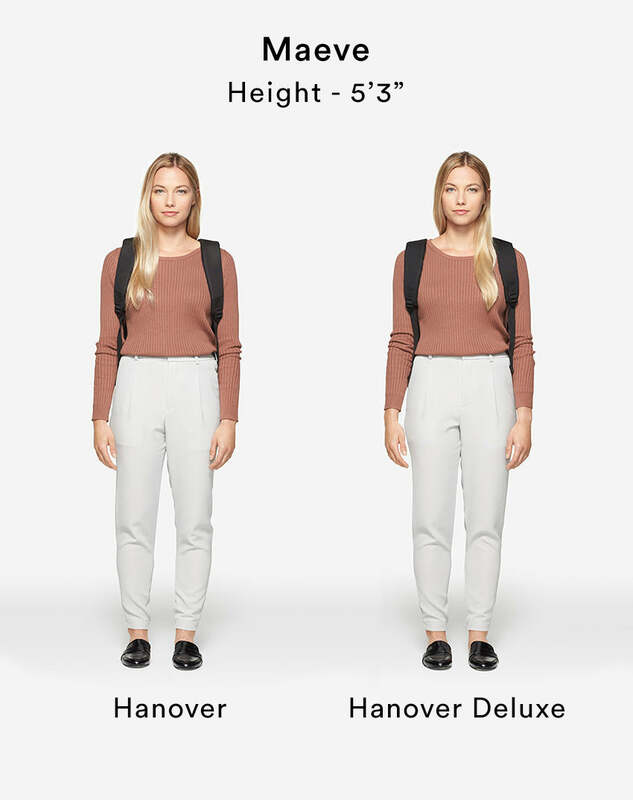 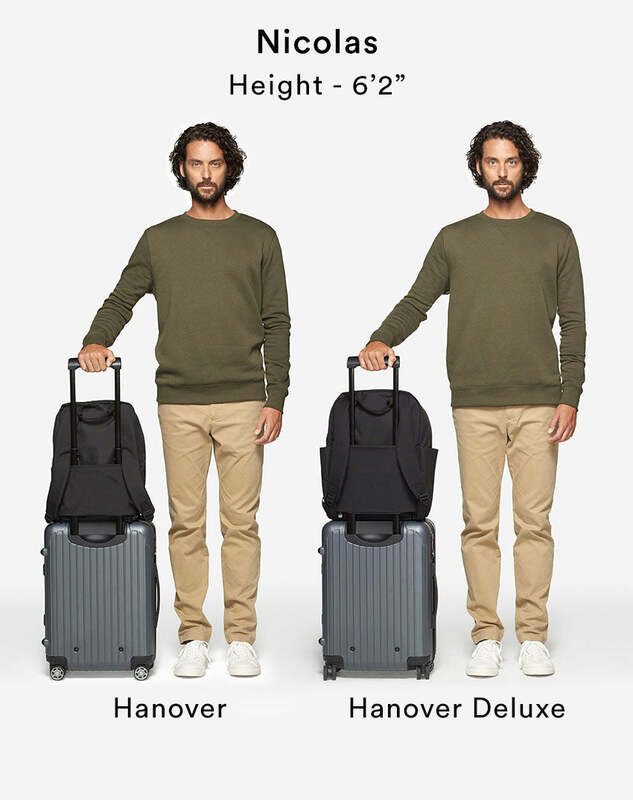 Features a 3D front pocket, including a secure interior zippered pocket for your passport and boarding pass, a sleeve for your suitcase handle, and removable insert with a padded compartment for a 15" laptop. 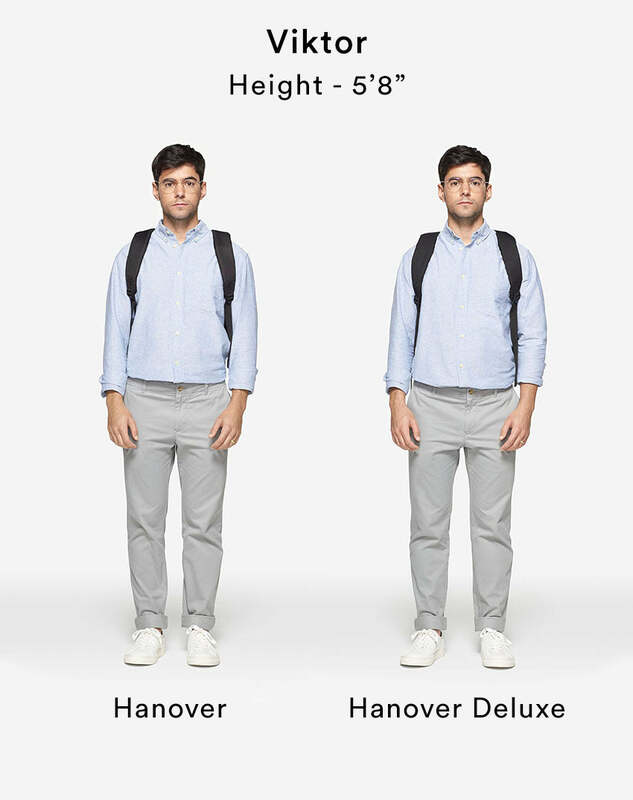 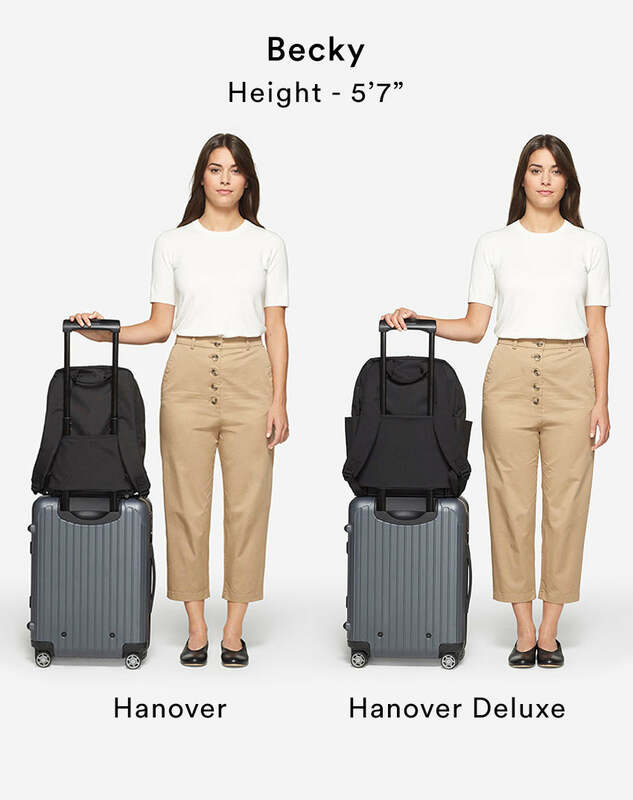 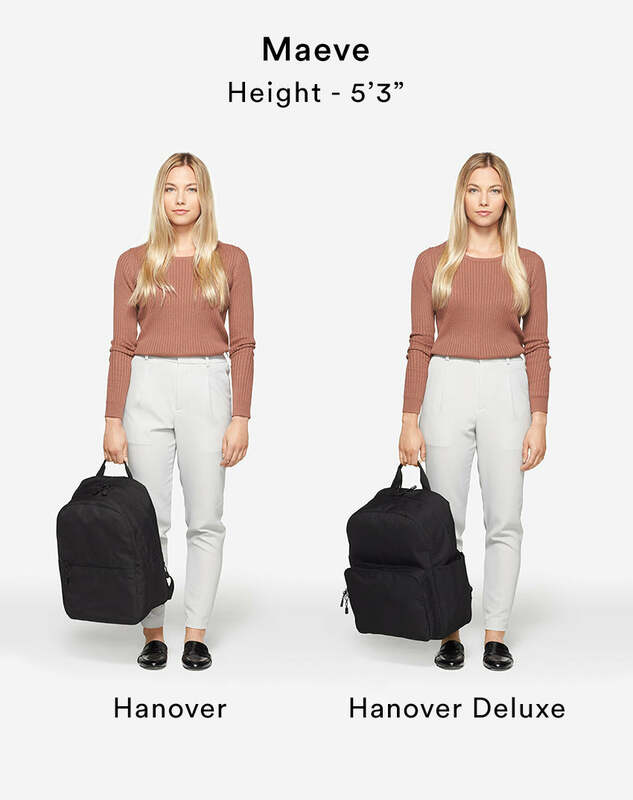 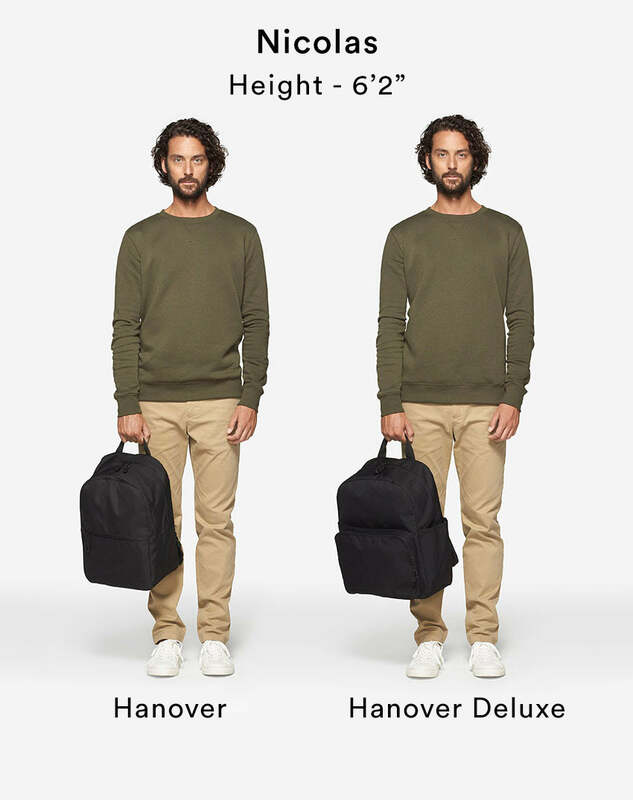 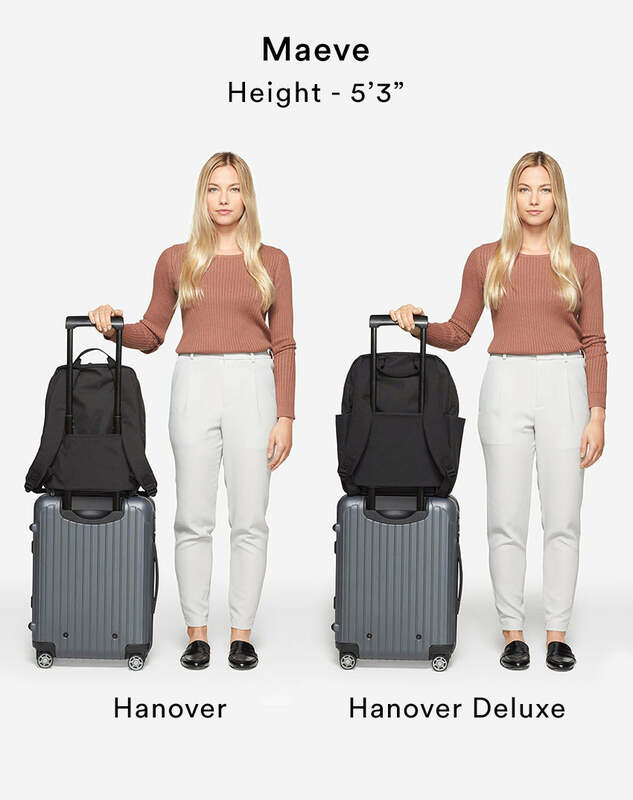 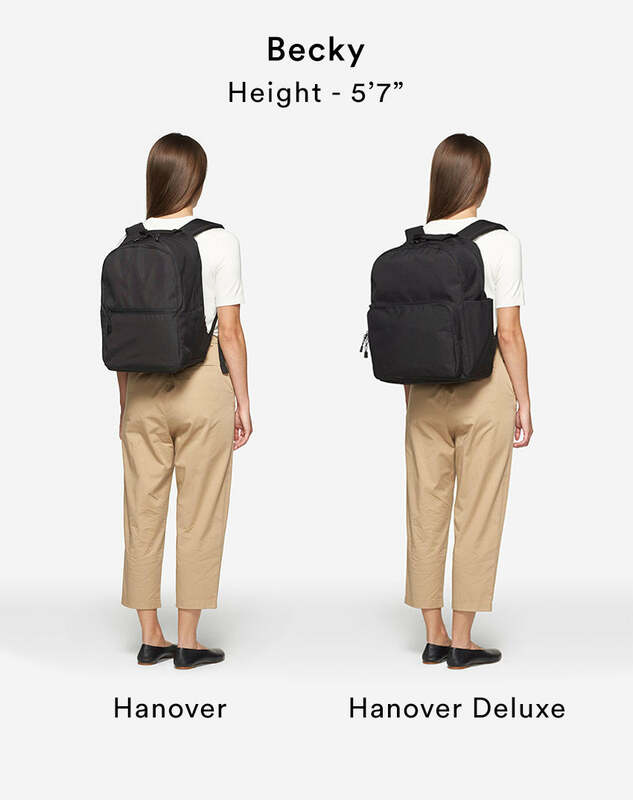 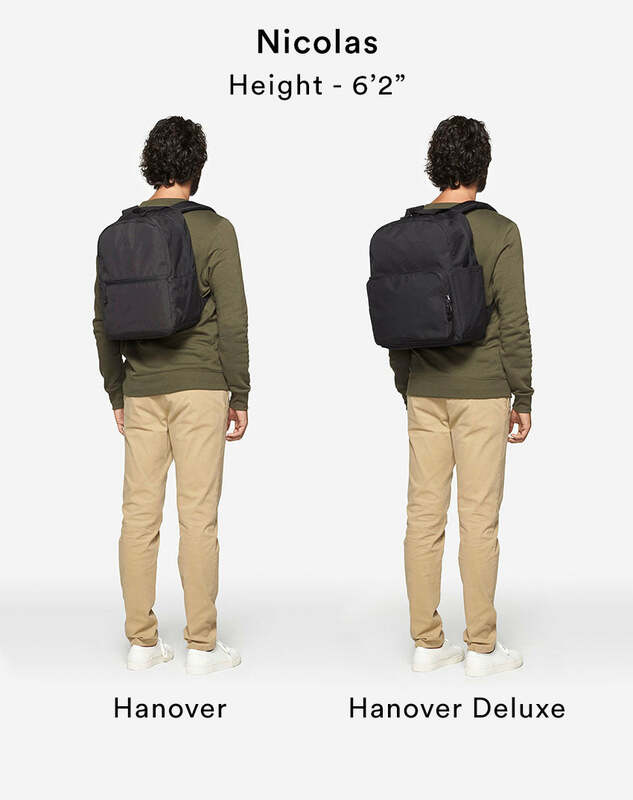 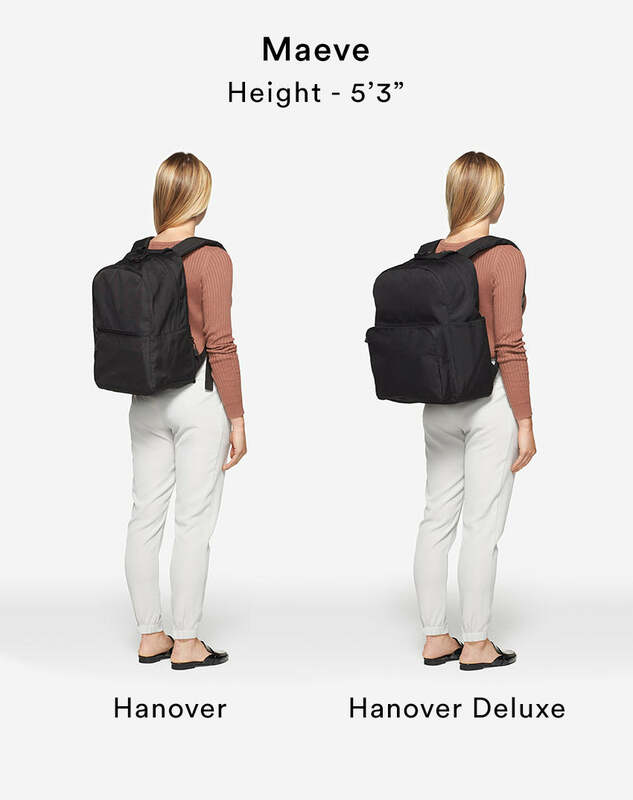 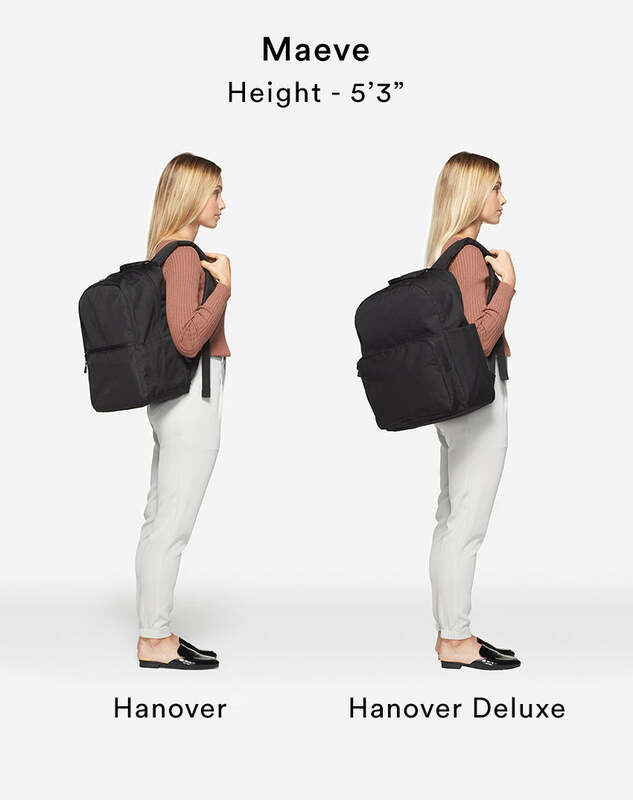 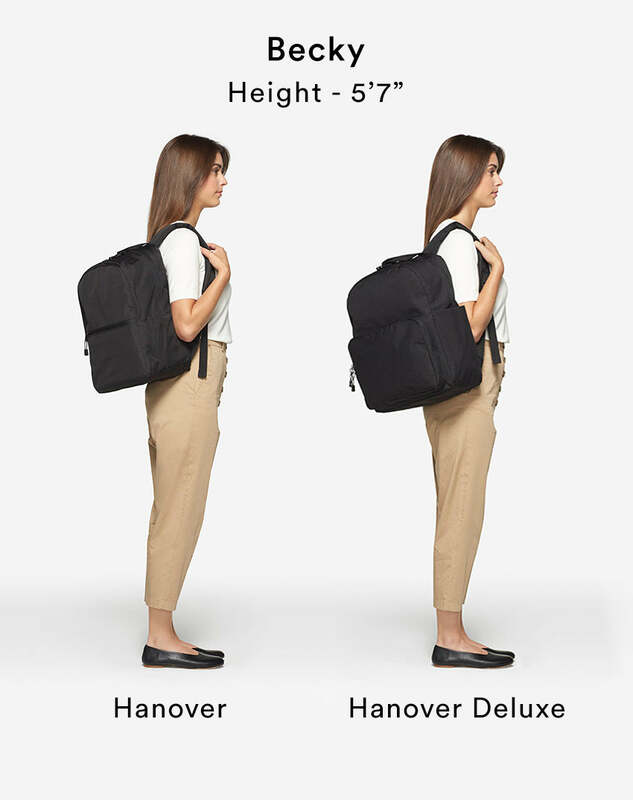 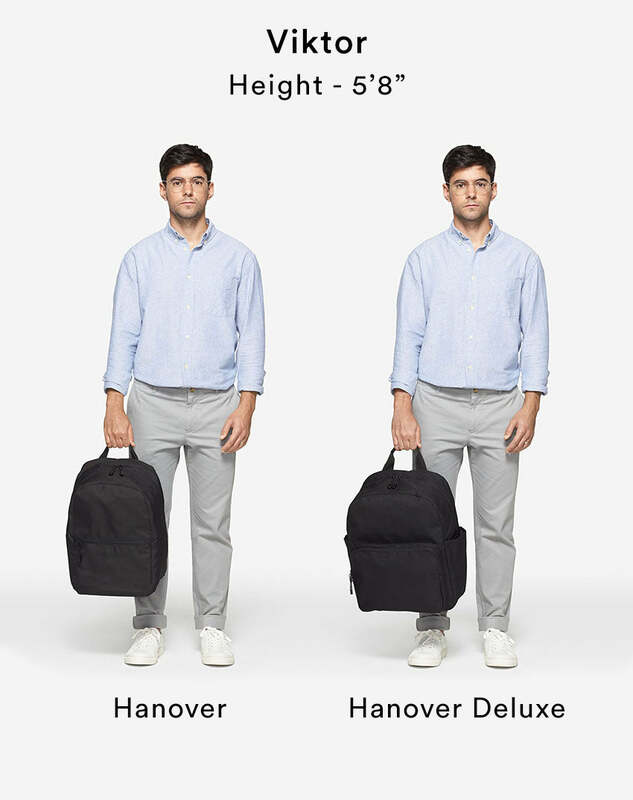 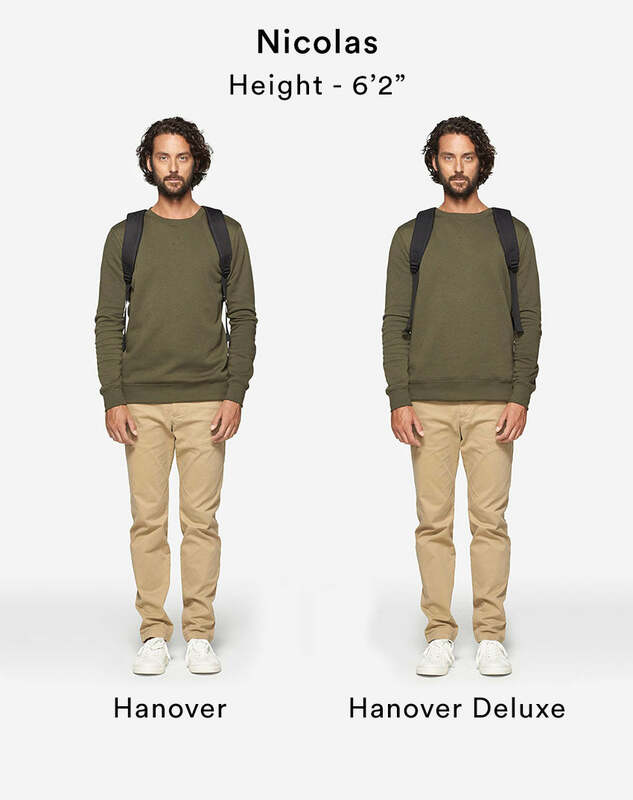 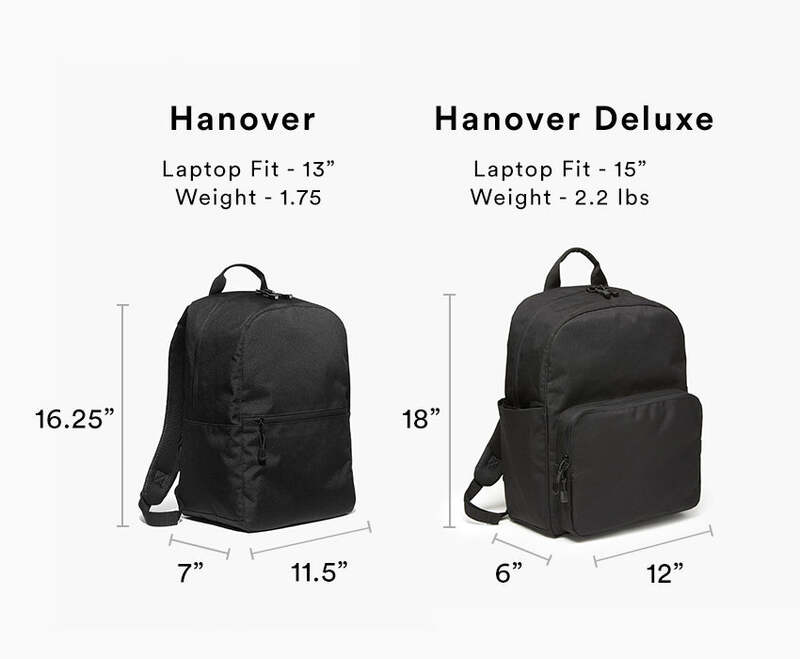 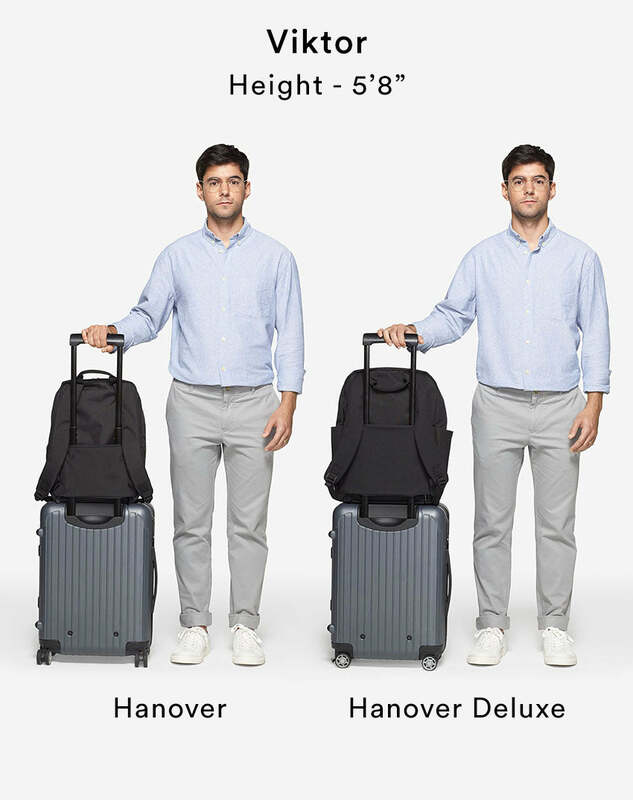 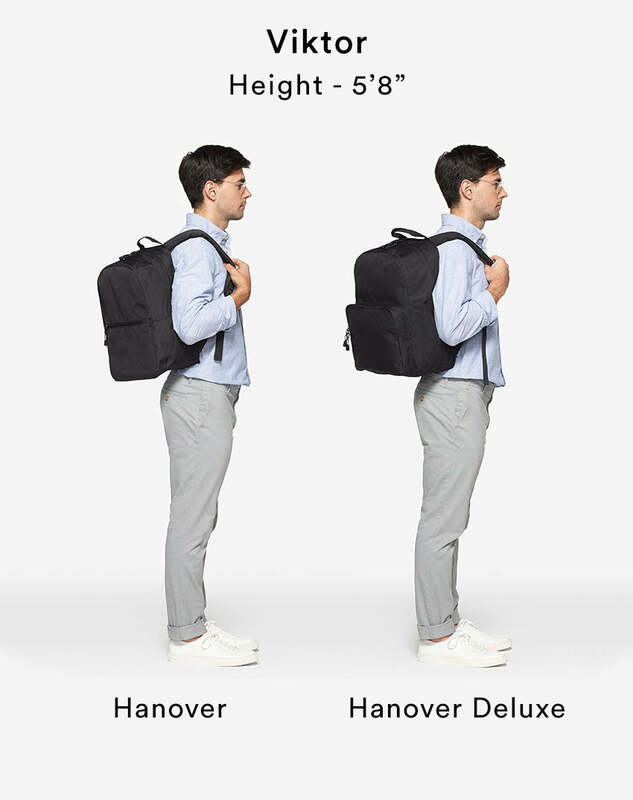 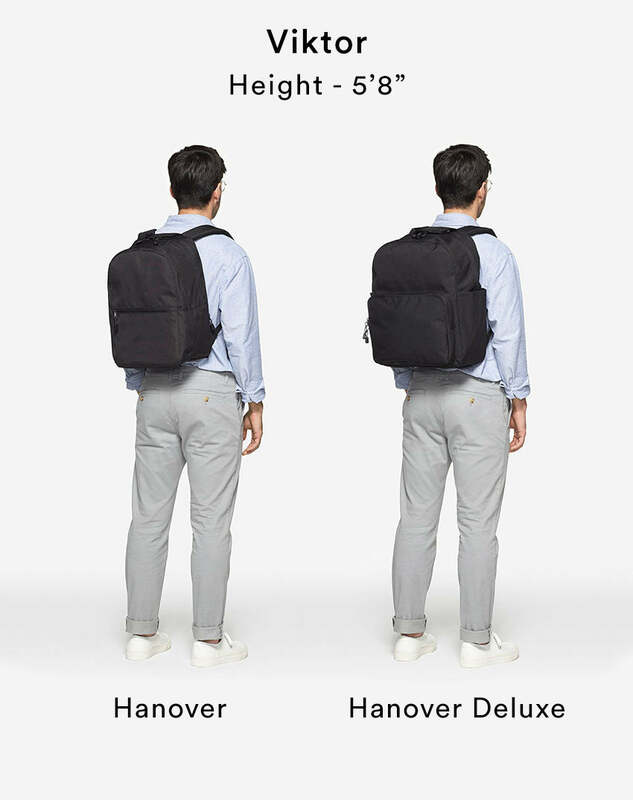 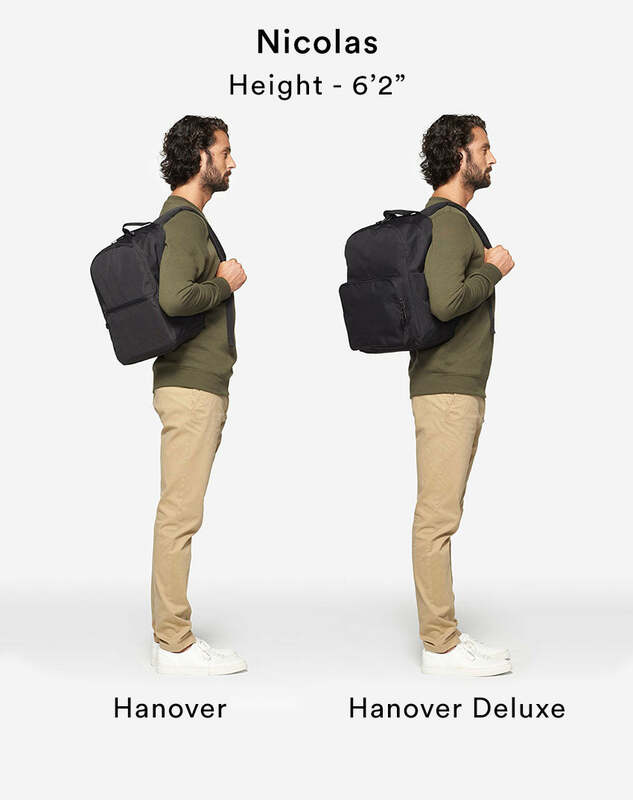 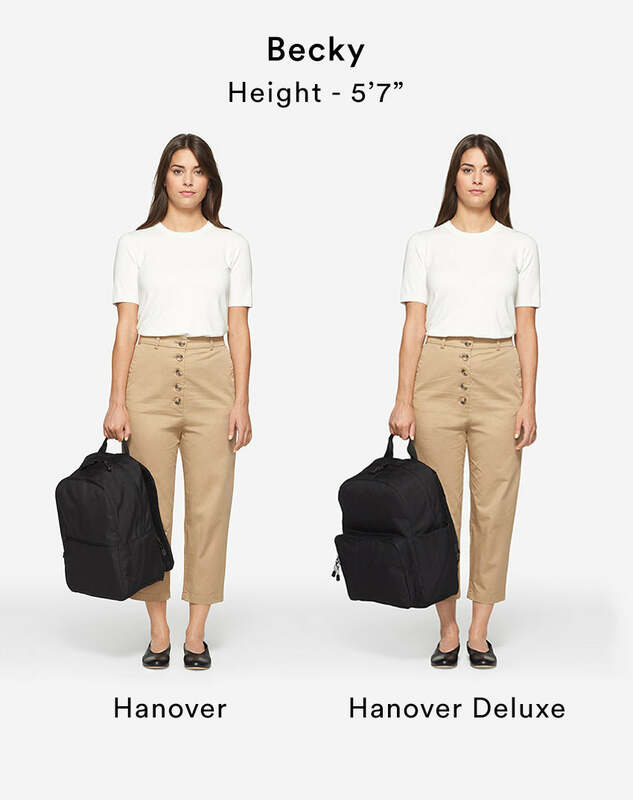 The Hanover Deluxe’s minimalist and understated design makes it perfect for taking on any kind of trip.